It is with great sadness that we report that our Friend and Colleague, Duncan Winning has died on 28th March 2018. Duncan was part of the Ballast Trust for more than twenty five years and his commitment and contribution to the growth and development of its work is remembered with affection and appreciation by us all. Duncan was born in 1940 at Rutherglen near Glasgow and was married to Kate with four daughters, Katrina, Veronica, Shona and Pamela. He worked for thirty-six years in the heavy marine diesel engine building industry for John G. Kincaid and Company. In 1991 his role as Kincaids drawing office administrator brought him into contact with the Ballast Trust, when a survey and rescue operation for the Kincaid’s records was undertaken. Work was carried out by Duncan Winning and Alex Deveney (both ex-Kincaids men retained by Kvaerner) on site in Greenock to identify significant technical records. In 1995, Duncan became a core member of the Ballast Trust, employed as an archives assistant/technician to survey and catalogue industrial records of business archives, mainly from shipbuilding and engineering industries. Duncan brought to this role a wealth of knowledge about engineering processes and drawing office practices. He was always generous with his knowledge and time, methodical in his approach and never daunted by the scale of the task! Duncan represented the Ballast Trust regularly at events such as the Scottish Maritime History Conference, Fairfield Heritage talks and in 2015, Duncan presented a paper on the early steam turbine and “Lusitania” at the Lusitania Centenary Conference in Clydebank. His contribution dealt with the concept of using the relatively new marine steam turbine as propelling machinery for the then latest, largest and fastest vessels for the Cunard Line. 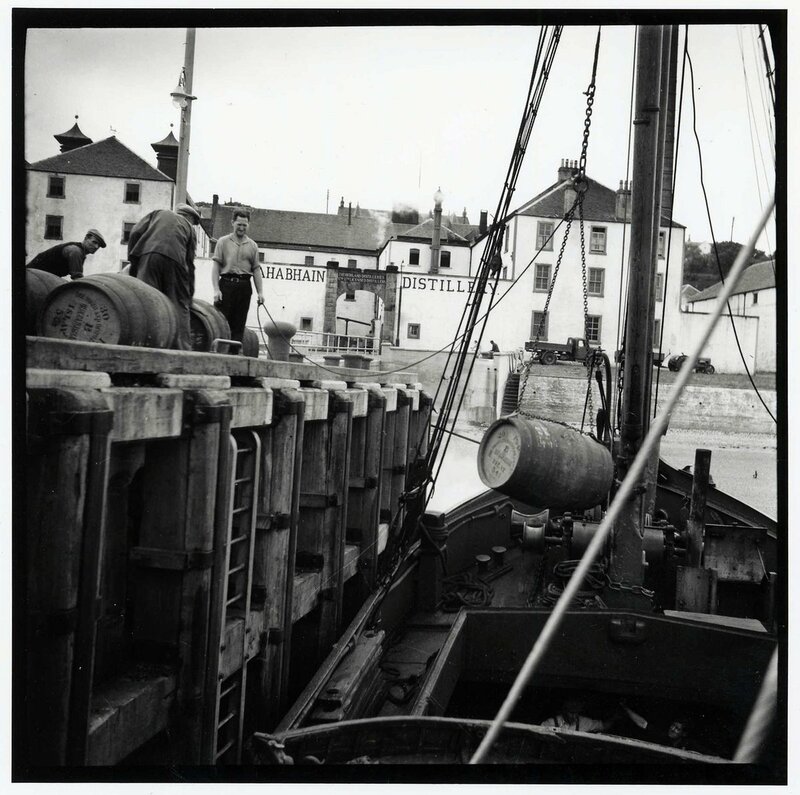 Other notable projects included choosing and preparing plans and drawings to be sampled by the National Records of Scotland to create an aid to the identification of technical records and their materials which we still use today. Duncan established a good relationship with Fergusons shipbuilders which facilitated their regular deposits of records for processing. He assisted the firm of naval architects G. L. Watson & Co. Limited in their search for early “one design” yacht plans called Red, White and Blue which Duncan had previously identified in plans he had catalogued for R. McAlister & Son. His contribution to the recent cataloging of the MacTaggart Scott & Co. Ltd, hydraulic engineers was invaluable as he provided essential technical knowledge for this project. More recently Duncan used his subject specialist knowledge to develop industry specific appraisal examples to complement our general guide to understanding technical records. Thus making a lasting contribution to the archives sector and its handling of technical records. Duncan was always a calming presence at work, something which much appreciated when he worked with successive Surveying Officers to rescue records for companies such as Clifton & Baird Ltd, machine tool manufacturers and The Arches Theatre Company. In 2009, when a professional archivist was appointed, he readily adapted to new procedures and was incredibly helpful and welcoming to this “young lady manager” with little experience of technical records. In the last ten years he extended this welcome to other new members of staff and volunteers including dozens of student volunteers. He will be remembered for his gate-opening tutorials and his particular talent in turning any topic of conversation around the tea table to the subject of canoes and canoeing – his lifelong passion. Duncan formally retired in January this year and we hope that he was proud in his own modest way of his contribution to Scottish business and industrial history and content that he was leaving the Ballast Trust in good hands, certain that it could not have achieved all that it has without him.